What to do if the Split Mini 2(M8 lens version) freezes at the splash screen with RunCam logo? 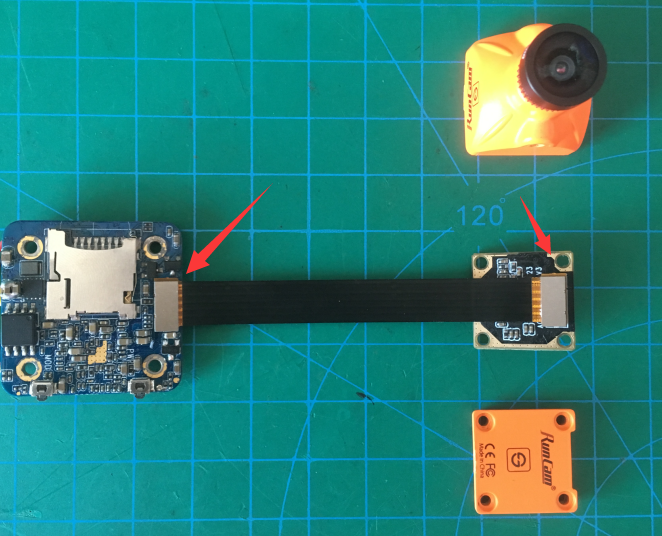 If the blue light is constant on(with the orange light OFF or blinking continuously) and the fpv feed shows a RunCam logo screen, it means the camera module is not detected. The problem is probably caused by the poor connection of the ribbon cable. 1. Please replug the ribbon cable on both ends and make sure the cable is not reversely connected. Then DON'T FORGET to use the metal cover to fix connector steadily. 3. Please remove the ribbon cable and power up the PCB separately to see if it can be turned up. 4. Please check if there is any damage on the ribbon cable.